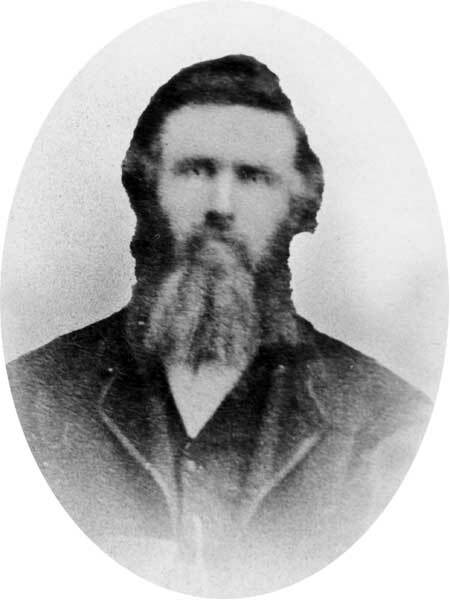 Farmer, MLA (1871-1874), MLA (1875-1878), municipal official. Born in a log cabin along the Red River at Kildonan, on 23 December 1837, son of Alexander Sutherland (1807-1883) and Chrisy McBeth, he attended school taught by John Pritchard. He farmed and, in 1855, freighted furs and commercial goods between St. Paul, Minnedosa and the Red River Settlement. He also hunted bison on the western prairies to the Rocky Mountains. Known as the “Scotchman,” in 1870 he represented the delegation sent to Upper Fort Garry to negotiate with Louis Riel the release of prisoners, which he successfully secured the following day. He was elected to the first legislative assembly of Manitoba for the Kildonan constituency in December 1870, receiving a majority of seven votes over his opponent, David Matheson. In the December 1874 general election, he was tied against John Fraser so a second writ was issued in April 1875, when he defeated John Henderson for the seat. He was appointed Minister of Public Works but refused the office owing to differences of opinion with other members of the cabinet. He was defeated in the 1878, 1879, and 1883 general elections by Alexander M. Sutherland and in the 1886 general election by John McBeth. He took an active interest in the church and community life of Kildonan. A founding member of the Kildonan Presbyterian Church, he was an elder for thirty years and the Sunday School Superintendent for a similar count of years. He served as a Councillor (1880-1881, 1888-1894) and Reeve (1898-1899) of the Rural Municipality of Kildonan. In 1892, he was elected Vice-President of the Northwest Fire Insurance Company. In 1862 he married Flora Polson (1844-1909) of Vancouver, British Columbia, daughter of Alexander Polson. They had five children: Christina A. Sutherland (1864-?, wife of Alex George Tait), John William Sutherland (1866-1924), Alexander Hugh Sutherland (1871-1952), Annie Jane Sutherland (1867-1924, wife of Thomas Whan Sibbald), and Janet Sutherland (1874-1951, wife of Duncan John Mason). He and his wife moved to the Pacific coast around August 1904, though by 1915 they had returned and were spending the winter with a son at his 482 Aikins Street residence in West Kildonan. He died on 31 May 1922 and was buried in the Kildonan Presbyterian Cemetery. 1881 and 1901 Canada censes, Library and Archives Canada. “City and Province [Mr. Alex Sutherland],” Manitoba Daily Free Press, 27 April 1883, page 8. “A parting of pioneers,” Manitoba Free Press, 22 June 1904, page 7. “Exceptionally mild winter,” Manitoba Free Press, 24 Feb 1915, page 16. “Looking backwards,” Manitoba Free Press, 11 February 1922, page 1. “Death calls member of first legislature,” Manitoba Free Press, 1 June 1922, page 15. “Deaths and funerals [John William Sutherland],” Manitoba Free Press, 6 May 1924, page 7. “Death of Mrs T. W. Sibbald regretted in Old Kildonan,” Manitoba Free Press, 12 April 1924, page 43. “T.W. Sibbald dies after short illness,” Manitoba Free Press, 2 October 1928, page 6.